With Valentines Day on the horizon, February is an appropriate month for spreading the love around your community. My guild, the Riverbend Fiber Arts Guild, will be working on its community service project this month and spreading Puppy and Kitty Love by making blankets for animals in local shelters and care facilities. Along with a few of my fellow guild members, I'm coordinating this program and we're collecting old towels, flannel shirts, flannel sheets and pillow cases for the project. 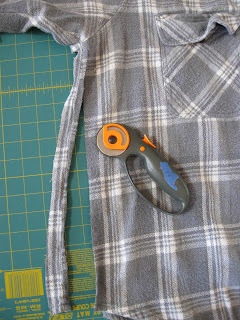 Here is a way to upcycle those retired flannel shirts and give them a worthwhile second life! 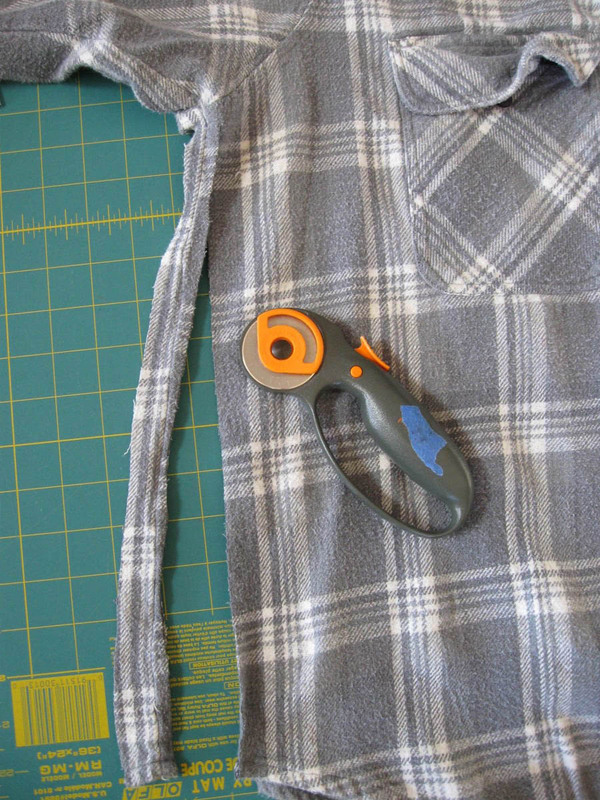 Supplies: rotary cutter, cutting mat, straight pins, sewing machine, fabric scraps, flannel shirts. Optional: old towels or batting scraps. A walking foot and a free-motion quilting foot is also useful. I scavenged the back of the shirt to acquire the largest useable piece of fabric. 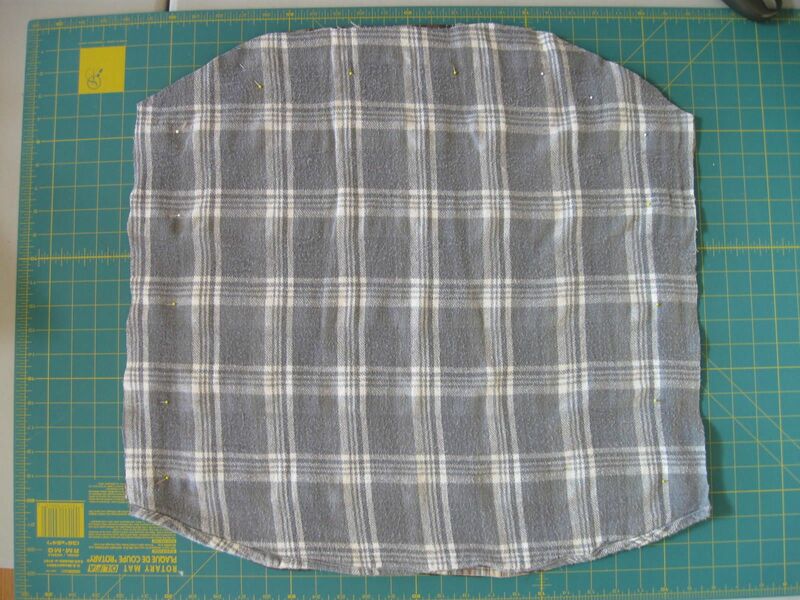 Step 1: Lay the shirt flat on your cutting mat and cut off the side seams. Cut the side seam off. Step 2: Continue cutting the back piece from the shirt, cutting below the collar or the yoke (some shirts have a yoke, some don't). Do this on two shirts. DO NOT CUT the lower (finished) hem. You will benefit from this finished edge... read on. 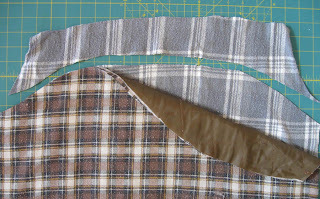 Cut right below the collar or yoke seam. Trim both shirts to the same size. Step 4: With right sides together, pin along the three cut sides. Leave the bottom side with the hems unpinned. Pin three sides of the shirt. Step 5: Sew along three sides. Backstitch at the beginning and end to secure the stitching. I used about a 1/2 to 3/4 inch seam allowance and a 2.3 or 2.4 stitch length. I used a walking foot (even-feed foot) here because one of the shirts was a pre-quilted fabric and had the extra layers. Sew three sides, backstitching at beginning and end. 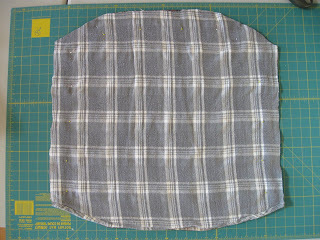 Step 6: Turn right sides out through bottom (hemmed) opening. Now that the shirt is right side out, pin the hems together. Topstitch to close the opening. Pin and topstitch the opening to close. If there are any worn spots in the fabric, or a hole, use an appliqué to cover and mend. Use an appliqué to cover any holes in the shirts. 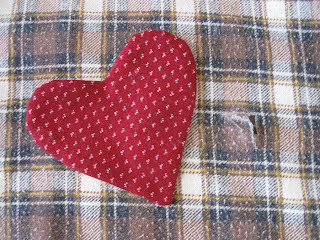 Using fabrics scraps, cut two hearts from fabric. Make them by folding two pieces of fabric in half and cutting out a half-heart shape—just like when making paper hearts. 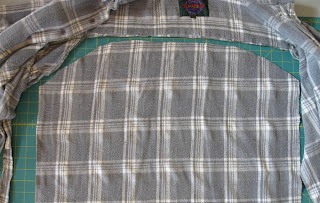 With right sides together, sew the two pieces of fabric together using a 1/4 inch seam allowance and a small stitch length (2.0 to 2.2 stitch length). 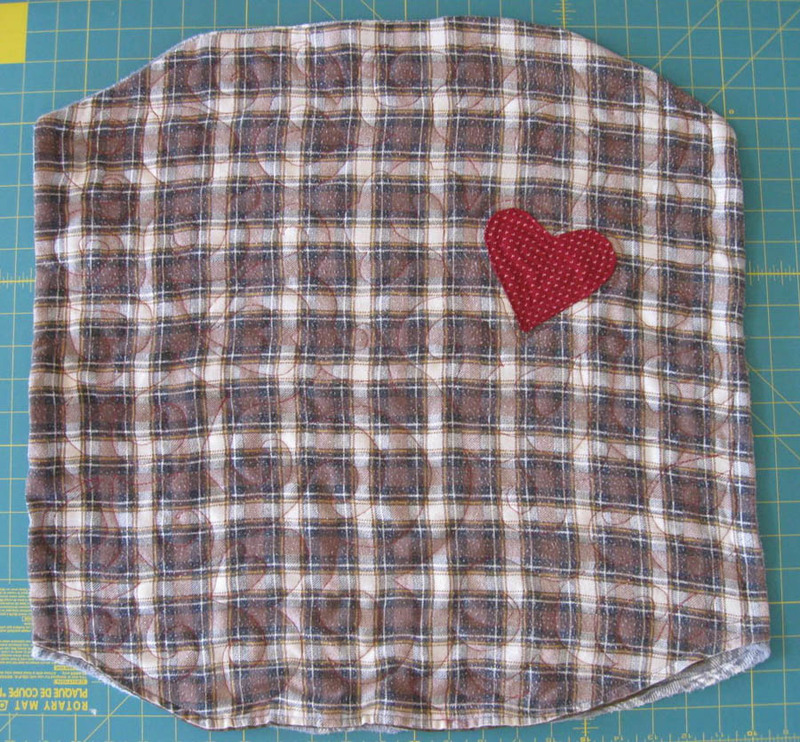 After sewing all around the heart, clip the top of the heart close to the stitching line. 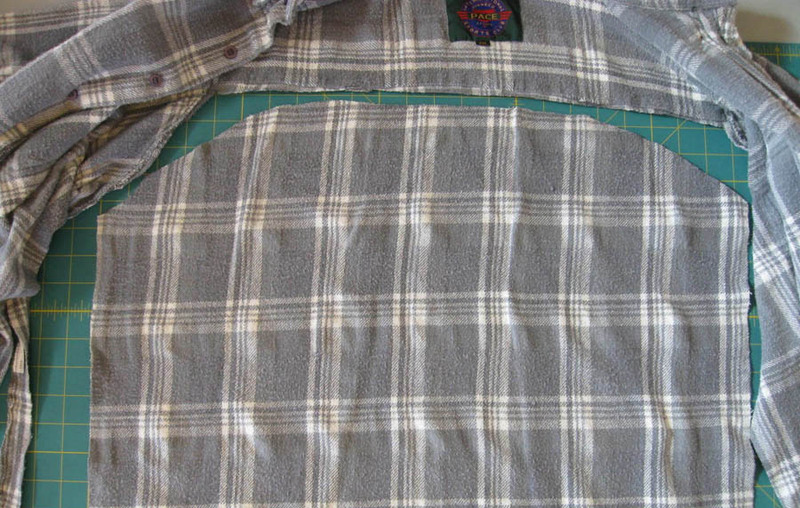 Trim the seam allowance at the bottom of the heart to minimize bulk. 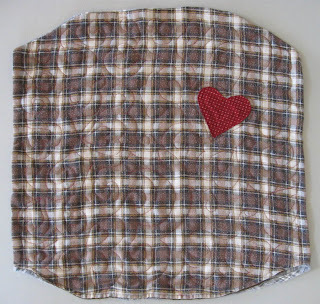 Sew heart appliqué. Trim excess seam allowances. 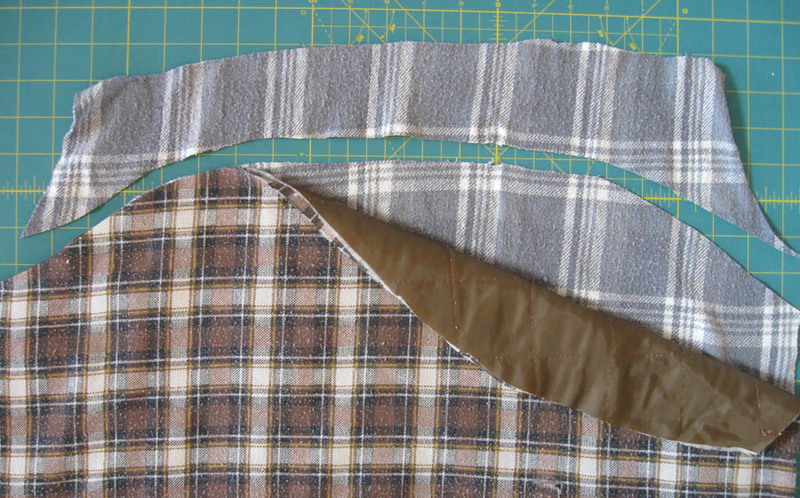 Use scissors to cut a small slit in ONE of the fabrics. Cut this slit on the fabric bias and it will not fray. Turn the heart right side out through this hole. Smooth curves and press. 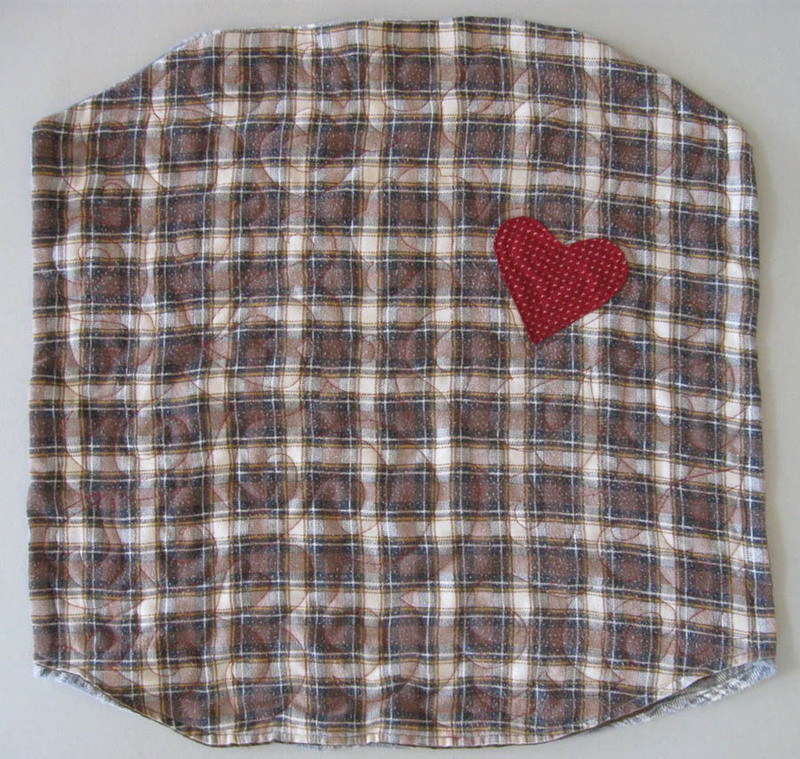 Place the heart over the hole or worn area and sew to secure. 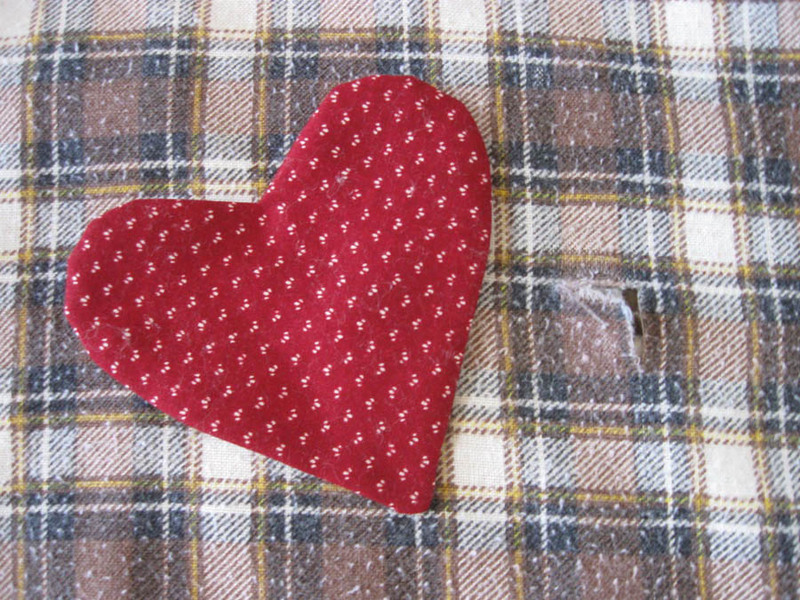 I free-motion stitched the heart to the blanket when I did the quilting. Slit back to turn right side out. Here is the finished blanket. I free-motion quilted the layers but you could straight line quilt with a walking foot or omit the quilting if preferred. The curve of the shirttail hem is mirrored on the opposite side. You can trim these blankets square if preferred. The dogs and cats will love them all the same. 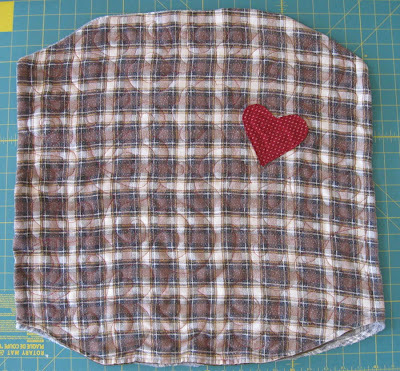 Quilted dog blanket with appliqué heart. Optional: use quilt batting or an old towel for a middle layer if you want the blanket thicker, cushier or more substantial. Cut the batting to the size of the shirts (Step 3). 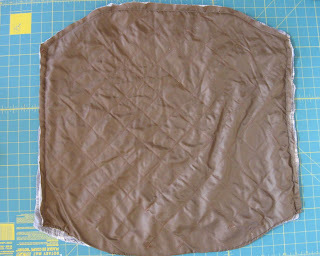 Add this layer to the top of the "quilt sandwich" (Step 4) and sew the three sides. Trim away any excess batting before top stitching the opening closed (Step 6). 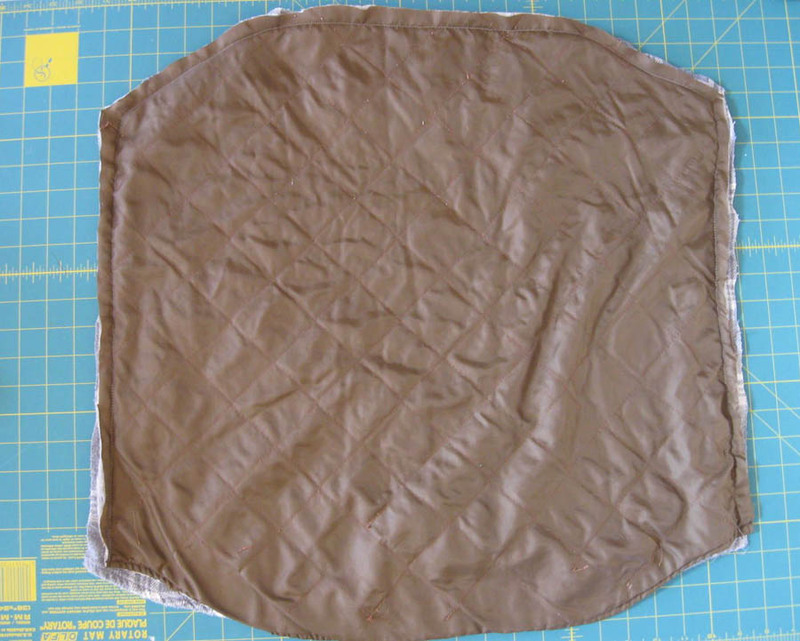 If you add this additional layer, it is a good idea to add some quilting to secure the three layers.